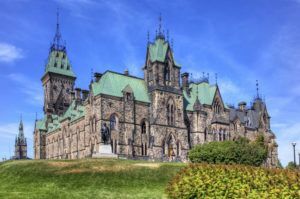 Canada’s marijuana industry hailed the passage of the recreational legalization bill by the Senate, but executives are concerned about some of the pending law’s amendments. The Senate approved the bill by a vote of 56-30 after months of tumultuous debate. The Cannabis Act now goes back to the House of Commons, which can accept, amend or reject any of the amendments. More than 40 amendments were added to the final version of the bill. Industry sources say some of the changes – related to branding, privacy and a possible THC cap – would make it harder to take over the black market. “We think the House of Commons should return this legislation (to the Senate) without approval of three amendments. We think they’re problematic,” said Allan Rewak, executive director of industry body Cannabis Canada Council. The group’s membership includes roughly 60 of Canada’s 105 licensed producers. “We do believe some of these amendments have significant unintended consequences that will make our mission harder of stamping out the black market, keeping profits away from organized crime and cannabis away from kids,” Rewak said. One amendment prohibits “brand stretching” – the use of cannabis brand elements that are not on packaging or accessories. “It goes beyond the idea of T-shirts and hats,” Rewak said. The Senate’s amendment would ban retailers from having uniforms with marijuana-related logos and could prevent cannabis stores from having MJ-focused, publicly facing signs. Industry executives also are deeply concerned with potential privacy violations that the amended financial reporting standards would require. Shareholders with more than 5% of any class of shares for a cannabis company would be made public – a standard that doesn’t apply to any other industry in Canada. Another amendment would give regulators the authority to cap THC potency, drawing concern that it would make it harder to compete against the black market. “We need to be able to communicate with adults about the brands they’re buying,” Rewak said. “We need to be able to operate according to normal financial disclosure rules that are already the highest in the world. Yes, Clifton!!!! Those are exactly my sentiments. The so-called “conservative” power holders in Canada and the United States are nothing but phonies. In both countries, they support wasting untold more public dollars out of a totally insane ideology (deeply rooted in ignorance, religion or cultural beliefs), as a means to further obstruct the flourishing of free cannabis markets. The widely acclaimed William F. Buckley, a true conservative, observed ages ago how our federal government’s whole damned “marihuana” regime is kept in place by a “cancerous tissue of lies.” The fact that it remains in place fully proves beyond any doubt that this “war” on cannabis plants ranks among the biggest scandals in American history. What he said but over and over again. I completely agree with Mr. Middleton. Just read an article in Wikipedia, Montel Williams stating benefits from MJ regarding multiple sclerosis. I personally know 3 people afflicted with bipolar disorder that consider MJ the most effective medication for bp symptoms. Seizure relief, ptsd; documented cases. Ignorance is the greatest enemy to progress. I don’t believe the amendment are unreasonable. Limiting the THC content is no different than limiting the legal proof of alcohol. It is to restrict any dangerous amount in my opinion. I think that thc in flower shouldn’t be limited but that it needs to be clearly labeled as more potent and only for those that are more experienced with higher levels of THC. I do however believe that only a certain level of overall thc should be in each individual edible, since there would be a higher chance of them really putting someone on the floor, even if they are more experienced. I also think that a dangerous amount of alcohol is much different than a high % of THC. A high % of alcohol can do a lot more harm than a high % of THC. I totally agree with Allan Rewak on these 3 issues. It seems many regulators want to punish people for being in the industry. What is timeline on getting House approval? The Liberals in the Canadian Parliament promised to have this Bill passed by June/July 2018.Time is running out before Parliament breaks for the Summer Recess next weekend..hopefully the Conservatives will come to their senses…it’s nonsense that Legal MJ Companies will not be able to compete with Black Market Cannabis and Derivatives ! One big test will be on 26th June when the FDA, in that stupid country next to Canada, decides on permitting or preventing G.W Pharmaceuticals to market it’s Cannabidiol derived Medicine to relieve Epilepsy in Children. That Company has successfully passed – no, Surpassed! – Phase III controlled Human tests plus two more additional Tests, (normally not needed for BIG PHARMA products) with Exceptionally positive results…plus the FDA Medical sub-committee has already recommended (11 to 0) that this Medicine be allowed to Market….let’s see ! If not I hope the FDA will personally explain that to those Kids who suffered more than DAILY Epileptic Fits and have been now “CURED” by this GWPH’s new Medicine ! Another point: The American Conservative Legislators are mostly in the Pockets of BIG PHARMA and these Lobbyists pocket Thousands just to hinder the passing of such Legislations. In Germany (my Home) there are approx 22,000 Pharmacies here, where any registered Patients can legally ‘GET on Prescription’ Cannabis and C. Medicine ( Germany is the biggest MMJ Market in the World)…………What is it with you Guys in North America ??? this plant will never hurt anyone, never. the government does every thing to keep it from us but at the same time the Gov can rip a 3 year old child and his Mother from the arms of his father and put the father in prison where he killed himself, because we took his life from him, his child and Wife. and Putin plan is working bomb people who can not fight back make them refugees in another land and then stir up hate blame the refugees and then take over there country. get rid of democracy and have dictators in all the world and Putin will be the leader and trump will be his pupet.